This morning, I paused to look at my stomach in the mirror. On it, I saw the new permanent residents on my skin - the silver squiggly lines that wrap up my mid-section in a circular motion. And, still faintly there is my dark linea negra which runs through my navel. Oh, yes. That belly button. At least something returned to its old state. I do actually have one of those again. It sinks in instead of being flat with the rest of my stomach or poking out like it did just over 5 months ago. Even still, this belly of mine will always bear evidence of the fruit that was once there growing inside it. The fruit that now walks around outside my body, can climb on anything it likes, and doesn't like taking naps or being told what to do. And of course the fruit that can roll and scoot around in circles, is half bald and about to outgrow her infant car seat. There’s nothing quite like experiencing the physical scars, long days and even longer nights of motherhood to made you appreciate how much your mother gave to you, and the mother before her, and the mother before her, and the mother before her. The dark little belly button in the center of my tummy is my permanent reminder of the physical nourishing my mother did for me not only in utero, but out of it as well. My family: me, my brother Jeremy, sister McKenzie, Riley being held by my mom, and my dad. My mom can cook like nobody’s business. If ever a person could show their love with food, my mother did that for my siblings and me. Not only did my mom know how to nourish our bodies, my mom knew how to nourish our minds. My mom encouraged us to develop all our talents, to study good books and to get a college education – and she with my dad provided the resources for us to do all those things. She still helps me in this respect. (Hypnobabies training conference!) My mom also encouraged us to nourish our spirits, through daily scripture study, and prayer and heeding of the promptings of the Holy Ghost. My mom taught us to give generously and freely and happily. 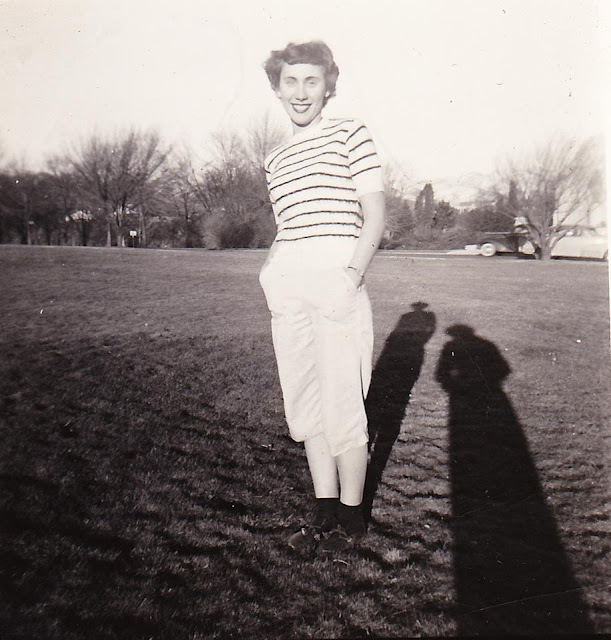 Basically my mom was awesome – and she still is. I learn something from her every time I see her. (How is that even possible – don’t I know everything there is to know yet? ;) ) My incredible mother also has a navel, just like mine, that points to her own mother’s contributions and sacrifices. Though my granny matter-of-factly has stated to me that she has absolutely no stretch marks from any of her 7 pregnancies (the last being pregnancy being a set of twins)! I am jealously astonished and I wonder out loud, “C’mon Gran – the least you could have done was pass that on to me!” My granny did gift her children with a love of music by playing semi-classical music every morning at breakfast, and by singing to them in her monotone voice every night. She gifted her children a household of faith, dependable routines, a wonderful neighborhood to run around and to play in, a love of sports, and great respect for familial duty. With 8 kids she certainly could have complained about all the ironing and laundry and cooking and cleaning and limited resources. But she never did. She made a comfortable home and made due with all she had. The origin of my Granny’s strong and admirable sense of duty can be found in her navel and the memory of her own mother. My great grandma Harrison – my mother’s mother’s mother. What a story she had! I’ve always heard that my great grandma, Lily had a harsh demeanor. This becomes more clear when you learn more of her story. Though her family were orthodox Jews, she chose to marry the Mormon solider from the United States who she fell in love with while he served overseas during the war. 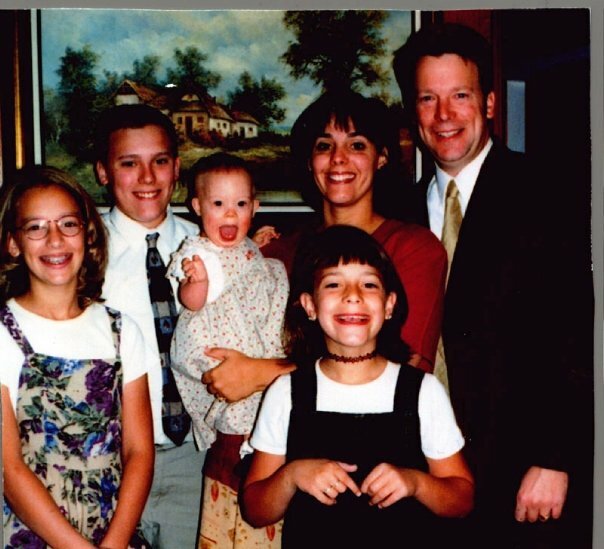 She moved to a tiny town called Milad, Idaho, joined the LDS church and started a family with her love despite her family disowning her for that choice. Tragically,after great grandma and grandpa had 8 children together, grandpa died from injuries he’d acquired during the war. And my great grandma was left to provide for her children as a widow in a foreign country, in a tiny little farm town. She made a living selling Avon and Christmas cards. Great grandma didn’t take any government handouts, and hardly any help from anyone else either. She was very proud – and very self-reliant and very thrifty. (My granny says she can’t eat oatmeal anymore, because she ate it so much as a child that she can’t stand it now.) Great grandma Harrison was also faithful to the church she had joined. In a short autobiography she wrote about herself she said that she had not been perfect in her life but that she was pleased above all that her children had all turned out all right – that that was what was most important to her. Great grandma also had a navel that had formerly connected her to her mother overseas. I don’t know a whole lot about the story of my great grandma Lily’s mother. To have disowned her child seems an unduly harsh thing to do in a day and world like ours where everybody says that anything goes. But, then I think about my favorite character, Tevye, from the famous musical, “Fiddler on the Roof” and I start to understand. My great great grandma, must have been a woman of unshakable faith. She fled from Prussia with her family to England to escape the horrible persecution of the Jews that was going on there. My great great grandma had chosen first and foremost to serve her God in the best way she knew how through all that life had thrown at her. My great great grandma actually passed away while my great grandma was pregnant with my granny. My granny was named Lena after her memory. More proof to me that despite how challenging some of her choices were to digest, that this was a woman worth remembering and cherishing. And her mother? And her mother? And her mother? All the way back to our first mother, Eve. They all gave their babies the incredible gift of life. And each mama gave them their own contributions, their different legacies – of faith, self-reliance, thriftiness, music, duty, and nourishment of mind, body, and spirit and so on and so forth. And I? Well, I just look at my sweet, rambunctious children, and I hope that God can make up the difference in where I am at and what my children need! Because this motherhood thing? It takes all I have to offer and then some. And I really don’t know if my “and then some” will be enough to create any sort of legacy worth writing about. I do know, though, that the great women who came before me did it - with God, they did it. I know that I am indebted to Him, and to them for the love and sacrifices they have all given to their children (and to me) with all they had and were/are. I hope I can live up to the lives and legacies my mother ancestors have set for me. Today, I cherish and honor and remember them. Today I looked at those lines on my once smooth belly that have marked my path to motherhood and that darkened navel heritage of mine, and I smiled.